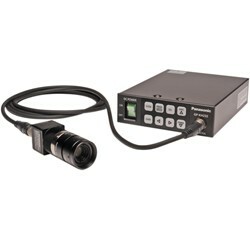 The Single Chip Full HD Remote Head Camera System from Panasonic. Panasonic brings you outstanding HD resolution and superior color performance at the right price, and the right size for a wide variety of medical & industrial applications. With outstanding performance, the camera delivers native 1080p/60p resolution from HDMI output with increased resolution up to 900 TV lines, plus multi-format capability and a compact and lightweight camera head module.